Researchers value RNA analysis in no small part because studying RNA can help explain how genes function and are expressed. Regardless of the aim of a given experiment or project though, collecting and preserving samples in the right way is essential to generating viable results with RNA. Some tissues are notoriously difficult to extract RNA from (like bones or roots) and if samples aren’t preserved properly before homogenization, the results of a study can also be affected. As such, researchers should strive to either 1) conduct homogenization immediately following sample collection, which may not always be possible, or 2) freeze the samples using a substance like liquid nitrogen for temporary containment until homogenization can be performed. Note here that thawing frozen samples before homogenization will also affect the outcome of an experiment. 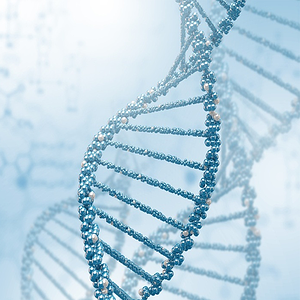 The good news about utilizing homogenizers in regard to RNA extraction is that they eliminate the potential of heat production –– since high-pressure homogenizers operate so quickly. In addition, homogenizers are scalable and compatible with a wide array of sample sizes and types. Even if a samples has cell walls that are hard, or when other conditions aren’t ideal, homogenizers can still assist researchers in achieving meaningful yields. Lastly, homogenizers are key to separating samples from RNase, which as we’ll explain below, will significantly alter RNA samples and often render them unusable. Ribonuclease or RNase, presents a problem for researchers looking to study intact RNA. RNase is an enzyme that catalyzes the degradation of RNA into smaller pieces. This is obviously something researchers want to avoid. Unfortunately, RNase is more or less everywhere, which means that it’s easy to expose a sample to it through lab equipment or on the surface of gloves. Professionals can use special cleaning solutions to ensure their equipment doesn’t spoil their experiment thanks to RNase exposure–– and should change their gloves often throughout their work. Remember also that proper storage at the end of the isolation procedure is also imperative to prevent any outside factors influencing results. RNA is generally stored at low temperatures –– either -20 Cº or -80 Cº depending on how long the storage will last. With the right equipment and by following guidelines and best practices to the letter, researchers can glean meaningful RNA yields under adverse conditions. At BEE International, we’re passionate about providing scalable, highly effective homogenization solutions for our business partners. We strive to offer the finest products –– and customer service –– in the industry. Don’t just take our word for it, though. Contact us today!